“A Church of England vicar has been convicted by a tribunal of spiritually abusing a teenage boy. The Reverend Timothy Davis moved in with the boy’s family in 2013 and held two-hour private prayer sessions in the boy’s bedroom, the panel heard. Mr Davis, of Christ Church, Abingdon, also tried to end the boy’s relationship with his girlfriend, describing her as a “bad seed”. The Bishop’s Disciplinary Tribunal said it would fix a penalty in due course. 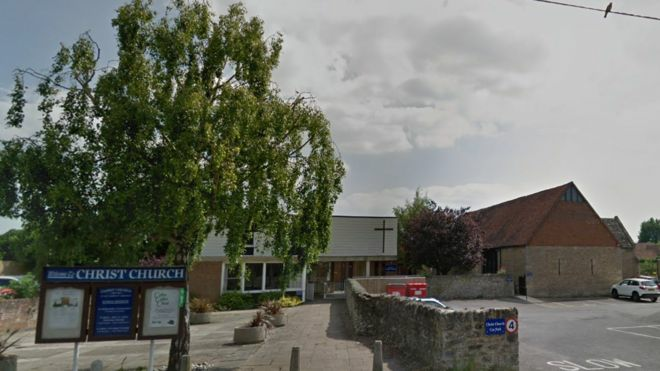 Church of England officials said it was thought to be the first time a tribunal had convicted a priest of spiritual abuse. Mr Davis lived with the family, who were members of his congregation, for six months in 2013. During the prayer sessions in the boy’s bedroom they laid hands on each other’s head, shoulders, chest and back, although the tribunal ruled there was no “sexual touching”. The boy’s mother said she could not tell Mr Davis to stop because she was “frightened of the consequences to Tim and what God would do”. In its judgement, the tribunal said the teenager was “scared” and “overcome by the intensity of what Mr Davis was doing”. Mr Davis, who is in his 50s, was suspended from his position in 2016. A church source said he had not been ministering for some time.